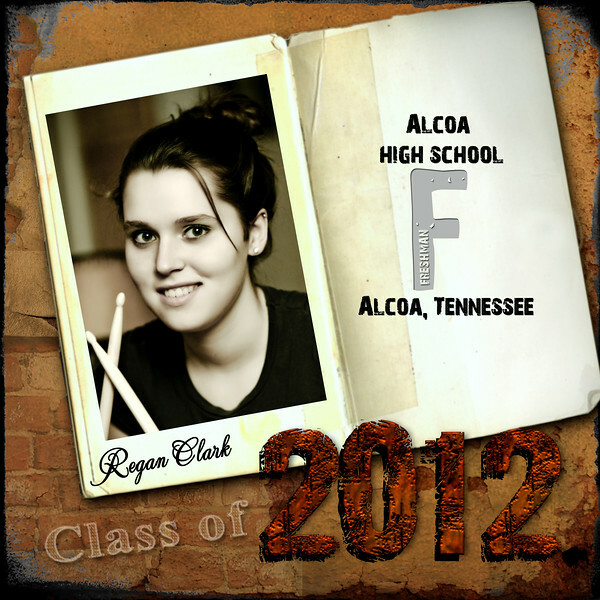 This coffee table book is an example of Regan's Freshman album that can be done for your daughters 9th grade year. If you have more than one child attending Alcoa (or any school), we can customize the book to include everyone. It is an 8x8 square 24 page hardcover album with customized pages/covers from names, quotes, colors, etc. Every page, element, photo can be changed to suit you. Look for other versions of this book for Sophomore, Junior, Senior years and coming soon and look at the sports albums under Alcoa Info/Album Styles. Contact me for an appointment so we can discuss the book process, layout options, special sayings and a book quote. This book is not completed because her freshman year is not over as of yet. The front/back cover and 3 pages will be added in May.